Dive compositions and 2/2/2 lineups are back. Nerfs to Overwatch heroes D.Va and Ana were expected to usher in the end of the tank meta. And to an extent, they have. Triple tank—likely Zarya, Reinhardt, and Roadhog or D.VA—is still viable, and we saw it a bunch during the Overwatch Winter Premiere finals, where Immortals defeated Ghost Gaming in an impressive grand finals matchup. There, however, we began to see teams willing to stray from tank picks and try out heroes we’ve seen less of lately. Namely, McCree. Though he hasn’t been able to match Tracer and Soldier: 76 in regards to usage (based on Overwatch site Overbuff’s statistics from the last week) those who have played McCree came out on top. During the Overwatch Winter Premiere finals, it was Christopher “GrimReality” Schaefer of Immortals who headshotted his team to victory, dropping heroes as fast as they spawned. Ha “Sayaplayer” Jeong Woo of South Korean Overwatch team Meta Athena proved today during OGN Overwatch Apex season two that McCree’s strength isn’t a fluke. Though he struggled at first to make plays with McCree, Sayaplayer ended up wiping up MVP Infinity multiple times with McCree’s deadeye ultimate—something that’s not easy to do, now that enemies know how to react to it. Though Meta Athena failed to take map four on Route 66, Sayaplayer’s four-man deadeye takedown, in which he angled himself just enough to bypass MVP Infinity’s Reinhardt shield, will be a play fans remember. Meta Athena also showed another unconventional lineup using Pharah, Mercy, and Widowmaker alongside three standard picks: Ana, Reinhardt, and Zarya. When that didn’t work, the team was quick to switch out Pharah and Mercy for Reaper and Lúcio to cap the first point in overtime on Hanamura, despite the odds stacked against them. Dive compositions are also proving strong in Overwatch’s current meta, as seen in last weekend’s two tournaments. But the real showing came in the form of Lunatic-Hai during their Overwatch Apex season two matches against LuxuryWatch Blue this morning. With two players suspended, Lunatic-Hai was forced into its roster regardless of whether they wanted it or not. They made it work, running an unstoppable dive composition. With Lee “Whoru” Seung Joon on Genji and Kim “zunba” Joon Hyuk playing a solid Zarya, world-class Winston player Gong “Miro” Jin-hyuk was actually able to play his best hero. That left Yang “tobi” Jin-mo to take on Lúcio, who he played flawlessly, with Ryu “Ryjehong” Je-hong on Ana. And sometimes Zenyatta. And Mercy, even without a Pharah in play. 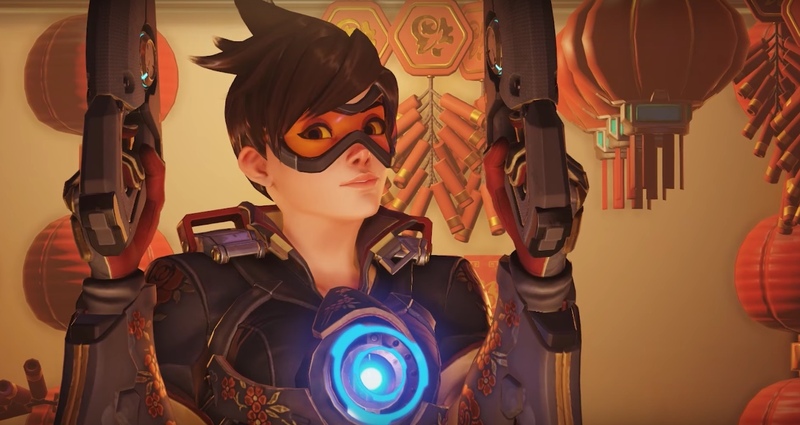 Overwatch Apex season two is shaping up to be the most exciting Overwatch tournament yet, given the unconventional way teams are playing. Tournament play continues Feb. 7 with KongDoo Panthera versus RunAway and ConBox Spirit versus KongDoo Uncia. Western teams return Feb. 10 with Misfits versus Afreeca Freecs Red and EnVyUs versus BK Stars. It’ll be interesting to see how western teams respond to Korean lineups in the new meta. Will they try out something new or stick with a tank heavy composition? We’ll know for sure next week.